I love Torah Day School because my children want to go every morning. They get dressed with enthusiasm and ask to be dropped off early. They enjoy being there and learning is a joy for them. I say this proudly, without exaggeration, and I say this also with the understanding that without joy, there will be very little desire to learn, and without the desire to learn, very little “education” will ever take place. An education is not about acquiring information, and it's not about test scores. Today, with unlimited information literally at our fingertips, nobody suggests that our kids sit in front of a screen and “google” all day because clearly, information is not the point. Stuffing our kids with data to memorize and then parrot back to us does not mean that any actual learning is taking place, in the same way that eating a meal and then regurgitating doesn’t mean that any nutrition is being digested. An education, on the contrary, is in large part about learning what to do with information, how to process it in order to express thoughts and ideas. Indeed, the primary purpose of education is to have us learn how to use our minds as human beings who think logically, creatively, and independently, not as parrots or robots. While the tools and the access to information have changed rapidly in the past generation, the key still remains the content of our ideas. We can have awesome powerpoint presentations with impressive graphs and flow charts, but if we do not know how to organize and emphasize our ideas and key points, or even how to make points at all–then all we have is a fancy way of saying nothing–lots of form with no substance. By the same token, reading is a tool, the means and not the end, so personally I am not interested in whether a child is reading by age four, whether by natural ability or by pushing and prodding. What I want to know is if that child is still reading at age 10 and 15 and 20. It’s not the mechanics of learning that is important but rather the love of learning that counts. It counts because it is the only thing that endures once the mechanics have been mastered. There are several reasons why TDS is a great place for kids to learn. You enter some schools and you immediately feel the environment is sterile and cold, that it is an institution of learning with the emphasis on institution. Everything on the walls has been placed there with the eye of a decorator, not of a child. The children are stiff and proper and if the clothes were different you might think you were observing soldiers. On the contrary, TDS is filled with warmth and happiness. You see it in the faces and the postures of the children who are relaxed, and in the faces of the teachers and the staff who are friendly and ready to talk to you. The teachers, in addition to being competent and skilled, are generally patient and kind. There is no fear and certainly no humiliation taking place in the classroom. There is no harsh discipline because the teachers and students treat each other with dignity and respect. The teachers understand and are sensitive to the children’s need to move around, to have recess and blow off steam, and they respond to those needs rather than merely push through with the day’s lesson plan. Indeed, one of the keys to being an effective teacher is knowing when to push and when to pull back, to understand that no real learning occurs when the conditions aren’t favorable. The classroom at TDS is also worth talking about. It is a place that the teachers and students take pride in, not because it is filled with the latest educational tools and gadgets and not because its filled with fine furniture or fancy blackboards or expensive pictures and charts. They are proud of their classroom because it is filled with the work that they produce and the ideas that they generate in that classroom, both individually and in groups. It’s not perfectly orderly like a museum but there is a working order. The kids feel at home in their classroom, not like guests and not like strangers. While there are rules that everyone agrees to abide by, the children at TDS experience the freedom to move, to touch, to sit at a desk or get cozy on the floor, and this freedom is the catalyst for learning. It’s a place where the kids can play, experiment, get hands-on, and get messy, where nobody is worried about their clothes. It’s a place where people are more important than property and what goes on in a child’s mind is of the utmost priority. Another reason why TDS is a great place for an education is that the class sizes, and thus the faculty/student ratio are small. While there is private tutoring during school hours for children who require extra attention in certain areas, the classes are small enough that, in general, there is no real need to segregate and label children according to their learning abilities. In other words, because the class is small, the teachers are flexible to allow the students to work at their own levels, rather than having them all be exactly at one class standard. As well, because the class size is small, the teacher has the time and ability to dedicate to each child according to his or her needs. In my experience so far, the teachers at TDS challenge their students while encouraging them. They do not apply undue pressure so the children aren’t nervous and they do not lack confidence. In addition, because the teachers act as leaders and mentors as well as surrogate parents, they earn not just the respect of their students, but their love. The relationships they form continue even after the child moves on to the next grade and beyond. My child, for example, who is entering third grade in September, is still very close with his first grade teacher whom he catches up with each day during recess or carpool. In sum, what you have at TDS is the feeling of a very close-knit family, an environment that generates genuine caring and concern for everybody. Until now I’ve explained why I believe that TDS is a great place for an education in general. Now I’m going to add why it’s such a special place for a Jewish education. A Jewish education means a moral education. It means teaching the children what is right and what is wrong, teaching them ethics and values, how to treat others and how to treat themselves, because devoid of a moral compass, the greatest minds in science will dedicate themselves to evil. Devoid of a moral compass, the most successful businessman will be ruthless in his regard for others and the environment. So more important than learning subjects is to learn those subjects within the context of Torah ethics, of what is permissible and what is not in the eyes of G‑d. I have roughly 18 years–and probably less—in which to educate my childen before they leave my nest and create their own. More than anything else, I want to instill in them a love of G‑d, His Torah, and the Jewish people. While my children–from the youngest to the oldest–all come home from TDS ready to discuss the weekly parsha–and in impressive detail—and while my children are learning to read, write, speak, and pray in Hebrew quite beautifully, I believe that without a passion for Yiddishkeit, without a love for what the Torah is all about, the knowledge won’t suffice. Again, it’s not the knowledge itself but the application of that knowledge–knowing what to do with it; how to share it, how to spread it, how to engage with the texts and apply the lessons to our lives–that is the crux of the Torah education that I seek for my children. TDS instills in my children the joy and love of Torah, and with that joy and love as a foundation–coupled with the intellect that Hashem has blessed them with—I am confident that they will pursue the knowledge and live their life accordingly. Finally, one of the most important reasons why TDS is a wonderful place for a Jewish education is that the teachers practice what they preach. They teach Torah because they believe in Hashem and they live by His word. There is no contradiction between what they say and what they do and this is the most important lesson of all that I could have my children be taught. The Torah is not just another subject to study for the sake of knowledge but the very foundation of our life and I want my children to be guided by it. Indeed, I want everything they learn to be filtered through the lens of Torah–from art to science to math to politics. These topics are not separate from the world Hashem has created but rather integral parts. In my opinion, Torah Day School is a precious gem in the Houston community and I feel blessed to be a part of it. 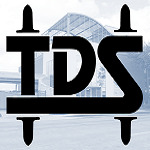 TDS welcomes Jews from all walks of life and levels of observance to be part of the TDS family.